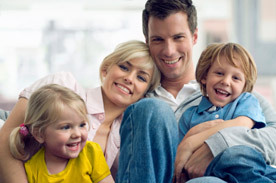 We offer family homestay accomodation with families experienced in receiving visitors from abroad. All the accommodation is a maximum of 30 minutes travelling time from the school. Choose the dates and you will receive a price quote in 24 hours. Scope .- This safety policy affects any personal data of Internet users (hereinafter, "Users") who visit the website www.solbarcelona.com (hereinafter "Web Page" ), and fill the application forms available on the same subject. The Users' personal data will be handled solely by the advertiser Web page according to its own security policy. The Web page is maintained by Solbarcelona CIF X-0855165W and registered office at Entença 320 entrl. 1r - 08029 Barcelona (hereinafter "Service Provider"). Information for users of the existence of a file and request authorization for automatic processing of their data: In relation to personal data provided by Users, Service Provider, as a mere processor, strictly adheres to current regulations established in Law 15/1999, of December 13, Protection of Personal Data (hereinafter "Data Protection Act) and other legislation that develops. Purpose of treatment: Personal data provided by Users will be treated by the advertisers of the Web page in order to process your request, being stored in files of their responsibility. Rights of access, rectification, cancellation and opposition: Users who provide their personal data, may exercise their rights of access, rectification, cancellation and opposition, at any time on request by mail to the advertiser Web page and, in the alternative, to Solbarcelona CIF X-0855165W and registered office at Entença 320 entrl. 1r - 08029 Barcelona, including a copy of ID or Tax ID of the owner of the data. In the latter case the service is limited to process your request to the appropriate advertiser, as provided in Article 26 of Royal Decree 1702/2007. Security .- The service provider ensures absolute confidentiality and privacy of personal data collected and thus have taken technical and organizational safeguards to prevent alteration, loss, or unauthorized access and guarantee its integrity and security; especially those established by Royal Decree 1720/2007 of 21 December, approving the Regulation implementing Law 15/1999 of 13 December on the protection of personal data. The Service Provider shall not, under any circumstances, incidents that may arise with respect to personal data they stem either an attack or unauthorized access to systems so that it is impossible to detect by implanted measures or when safety is due to a lack of diligence of the users as to the guardianship and custody of their passwords or their own personal data. Accuracy of data .- The Users are responsible for the accuracy of their data, agreeing not to enter false data and the amendments thereto, if necessary.